How Do I Become “Financially Free” After Divorce? Not all couples go through a contentious, difficult divorce. Many end up going their separate ways on very amicable terms. Still, the one thing that all divorces share is the importance of financial independence for each individual going through it. Below, we discuss some tips on how to minimize any financial pain of divorce and ensure that you are “financially free” once the process is over. Florida abides by the rule of equitable distribution when it comes to marital property. 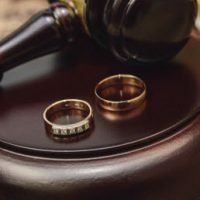 However, what many people do not realize is that this does not just apply to property acquired during marriage, but any debt that the couple accrued during the marriage. This can become extremely difficult when there is a significant amount of debt involved. And yet, maintaining your credit is going to be a crucial part of you being able to move on with your life and becoming financially independent. Therefore, you and your attorney must do everything possible to ensure that you aren’t going to be on the hook for any charges or expenses run up by your ex. So, for example, if you have a joint credit card with your ex and the total owed on it is $5,000, you and your attorney can transfer $2,500 to a credit card in one name, and $2,500 to a credit card in the other name. The joint account will then be closed. While you might be alarmed by any effects that closing credit accounts could have on your personal credit rating, know that what is most important at this time is fully separating your financial lives. By leaving any joint accounts open, you leave yourself vulnerable to future expenses that you had no role in accruing. Assessing your expenses and reevaluating which expenses are absolutely necessary and which ones are discretionary/negotiable is also an important step to take early on. As you do this, keep in mind that you may have to budget for new expenses, such as rent, a new mortgage, 100 percent of an existing mortgage (instead of splitting it 50/50 with your spouse), perhaps new health insurance policies, child support, spousal support, etc. During this time, you should avoid big-ticket purchases, such as trips, cars, etc. While you may have to empty any emergency funds you previously accrued while you go through your divorce, make a commitment to fill it back up again as soon as you can. A starter fund should have at least $1,000 in it, but ideally work up to three to six months’ worth of expenses, in total. At the Orlando, Florida-based Arwani Law Firm our divorce lawyers are 100 percent committed to our clients in every way. We will work with you to ensure that your interests are fully protected and you are on your way to financial independence. Contact us today to find out more.